Supacat, part of SC Group, is an innovative engineering and design company providing global, defence focused products and services with offices in the UK and Australia. Supacat is committed to partnering with Australian industry and is delivering development, production and support programs with Australian partners under the Supacat Team Australia banner. As part of Supacat’s corporate social responsibility program Australian Managing Director, Michael Halloran has been active in seeking ways in which the company can work with Australian initiatives designed to support service and ex-service personal. Supacat is thrilled to officially announce their support of Trojans Trek and their endeavours to rebuild the well-being and mental health of veterans who have been adversely affected by their service. An introduction was made between Trojans Trek Chairman, Moose Dunlop OAM and Mr Halloran and it was soon discovered that a collaboration between the two organisations would be would be a great fit. 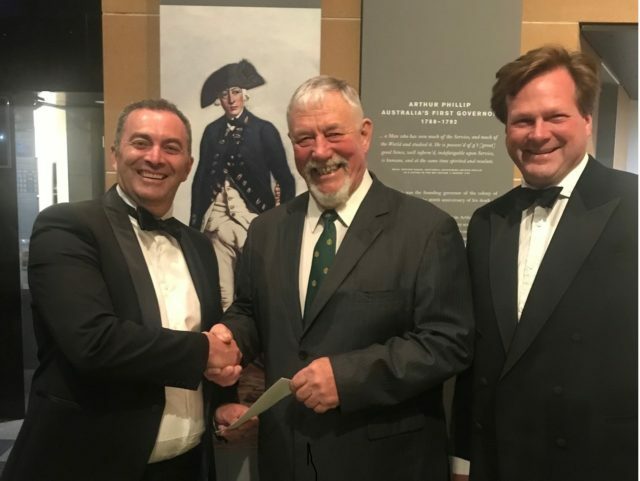 Following the initial discussions, Mr Dunlop travelled to Sydney to attend Supacat’s Annual Dinner on 24th October and share the story of Trojan’s Trek with government representatives in defence, partners and customers of Supacat.